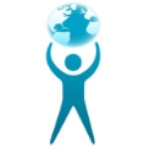 Our HTTPS web application does not work with IE, so we cannot use StresStimulus recorder. How should be create a test case using Firefox? Enable decryption in Fiddler (if it was not done yet). 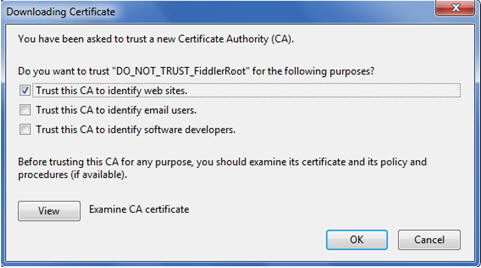 Configure Firefox to trust the Fiddler root certificate. 2. Click the Export Root Certificate to Desktop button. In Firefox, click Tools > Options.... Click the Advanced button at the top. Click the Encryption tab. Click View Certificates. Click the Authorities tab. Click Import. Pick the .CER file from your desktop. 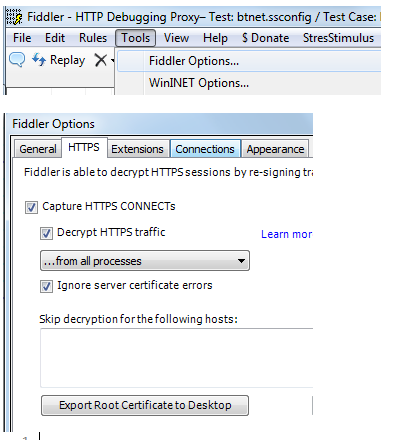 The Fiddler root certificate will be added to Firefox. To find it in the list of other certificates, note that the certificate name is DO_NOT_TRUST_FiddlerRoot. Check the "Trust this CA to identify web sites" checkbox. clear all unrelated sessions in Fiddler. make sure that no unrelated traffic from other browsers or applications is captured. Delete any unrelated sessions from the Fiddler grid before setting a test case. You can determine these unwanted sessions from other applications by checking the Process column in the fiddler grid. You do not need to delete any sessions from your browser, except those that are triggered by browser add-ons (e.g. Google toolbar). Once the test case is set, the load testing process is the same as if you created it using the recorder.